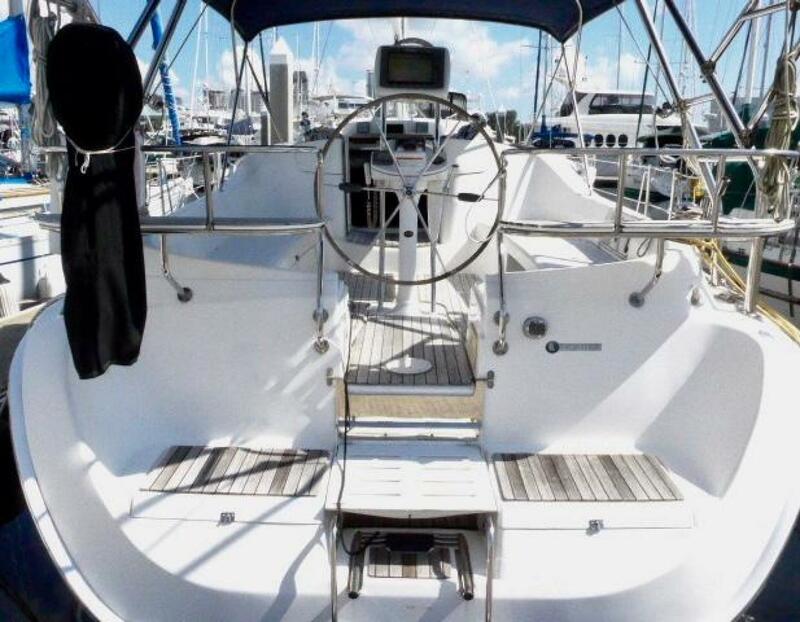 A beautiful 2007 Deck Salon that shows like a 2015 !! 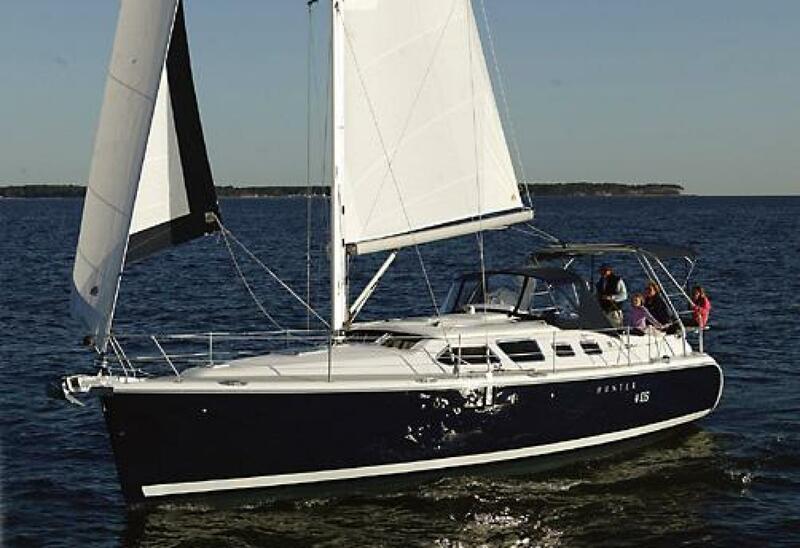 With her striking Navy Blue hull color 'Knot II Fast' is a good looking yacht that offer so much for the cruising sailor. 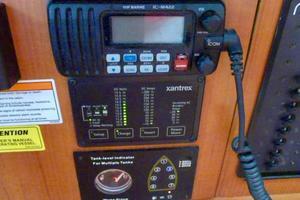 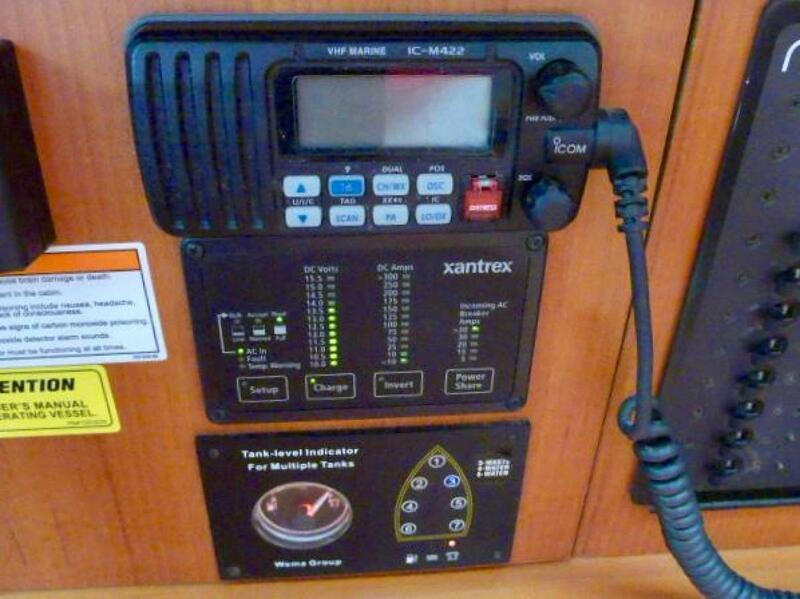 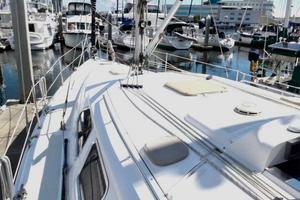 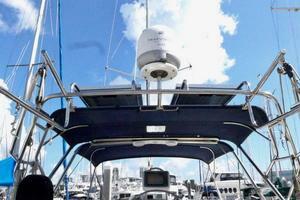 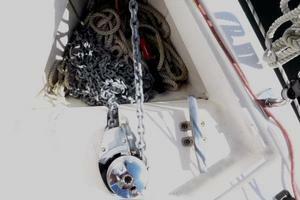 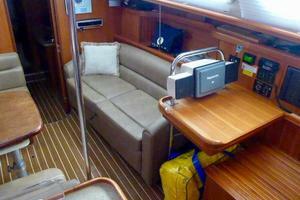 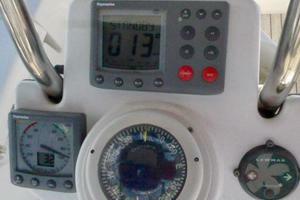 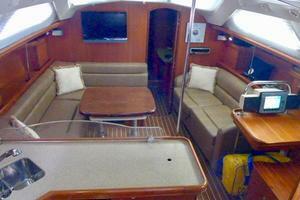 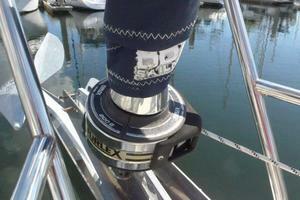 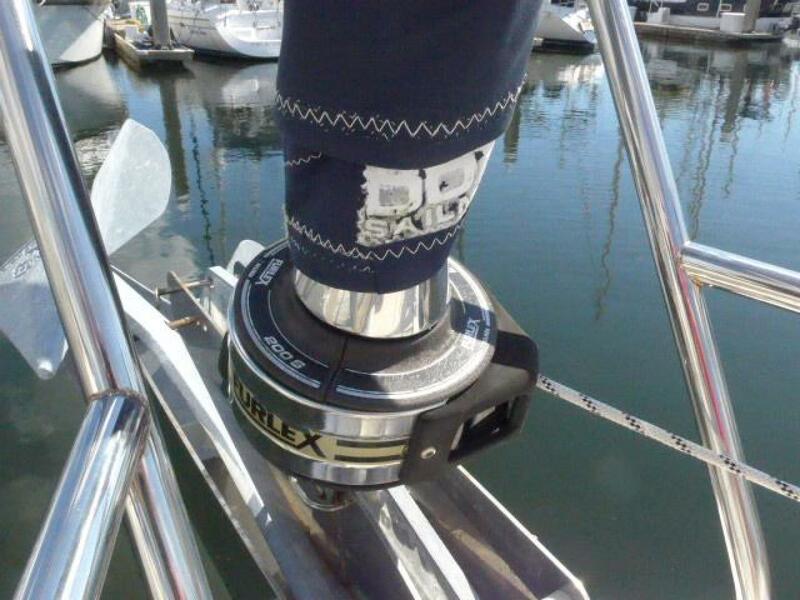 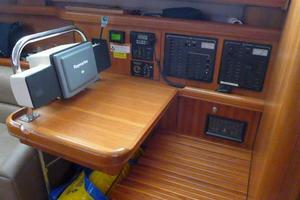 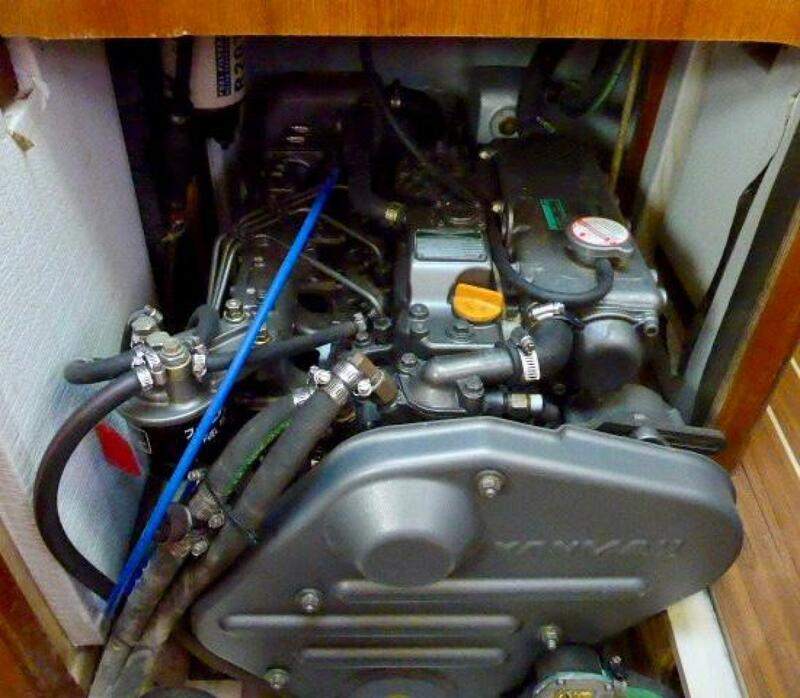 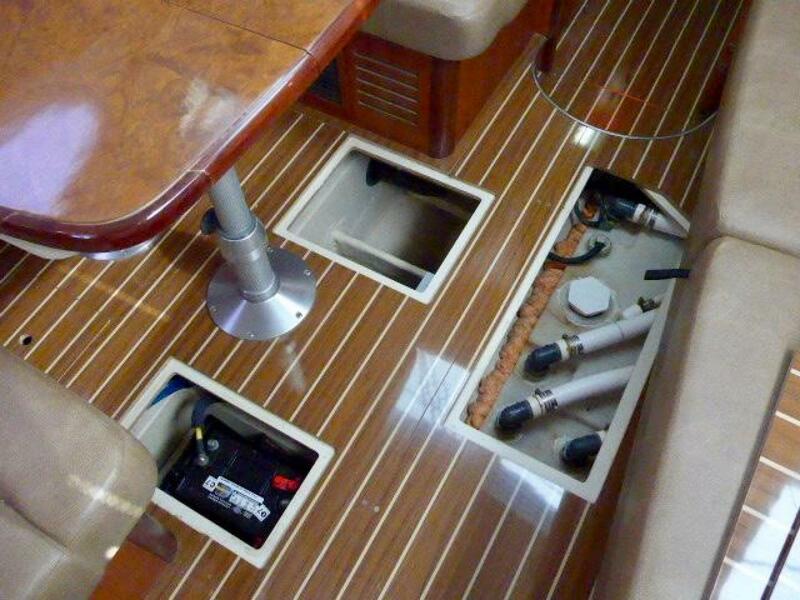 Well appointed below decks and equipped with the options the offshore sailor wants. 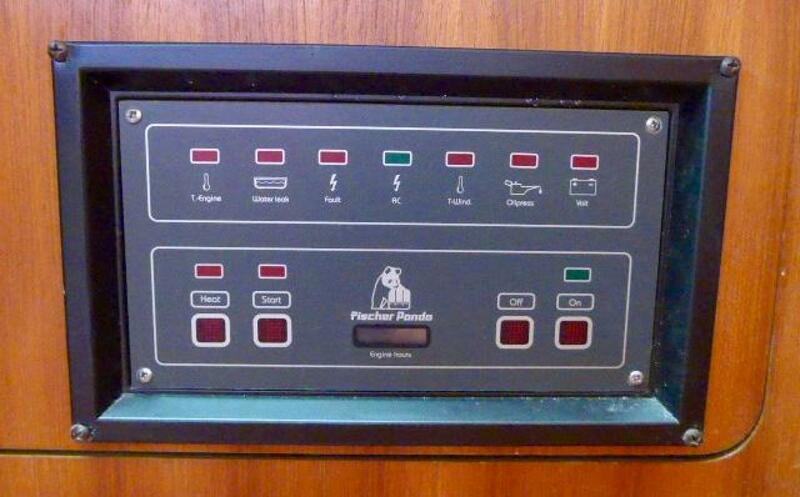 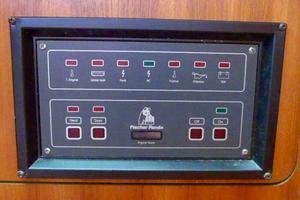 Fisher Panda Generator (only 260 hours). 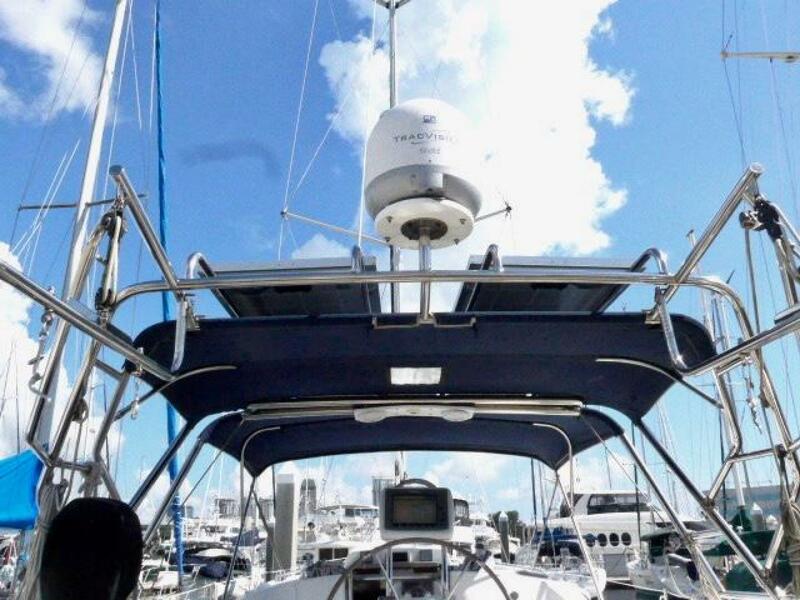 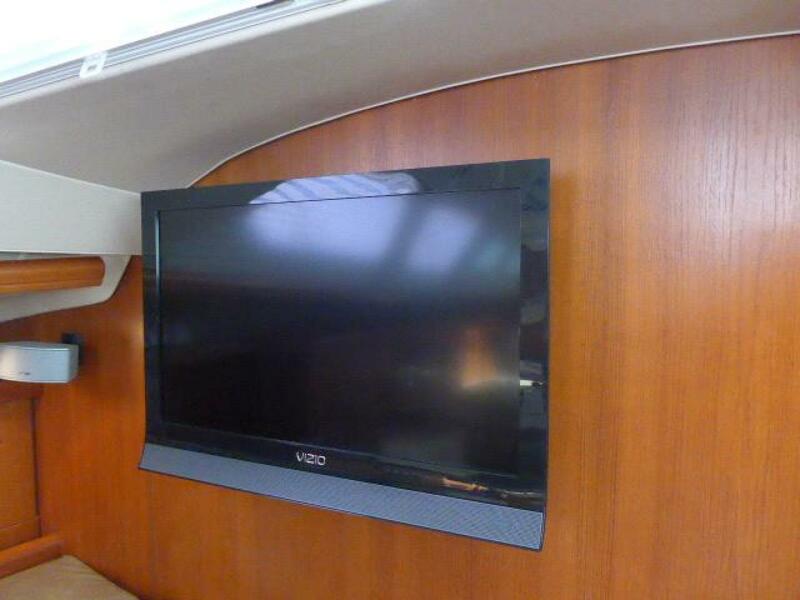 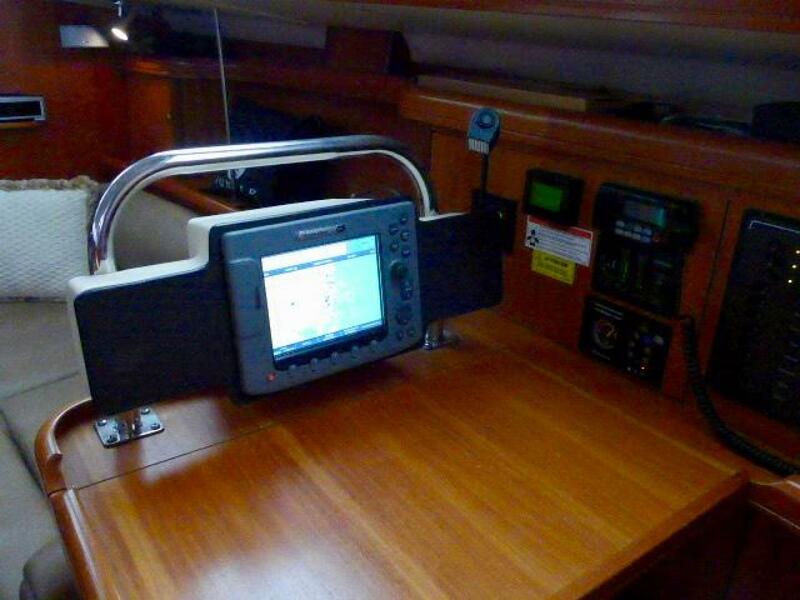 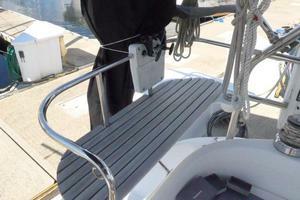 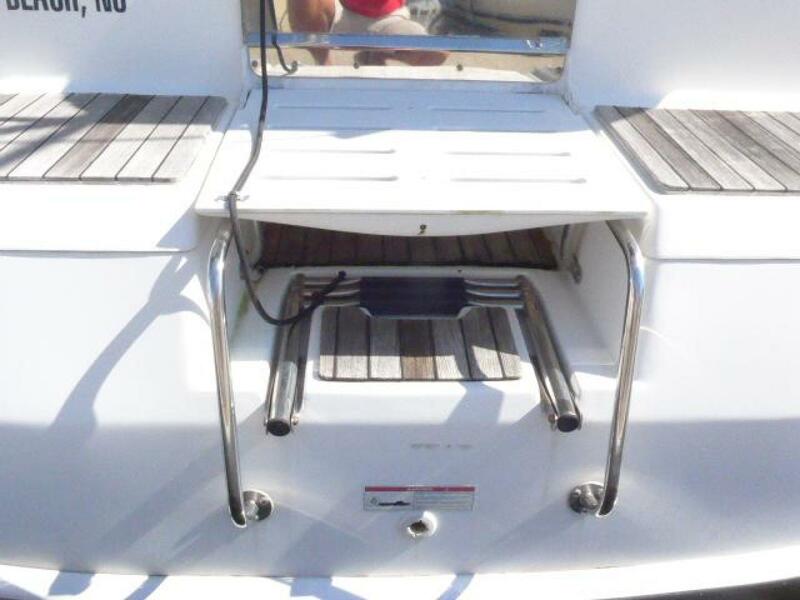 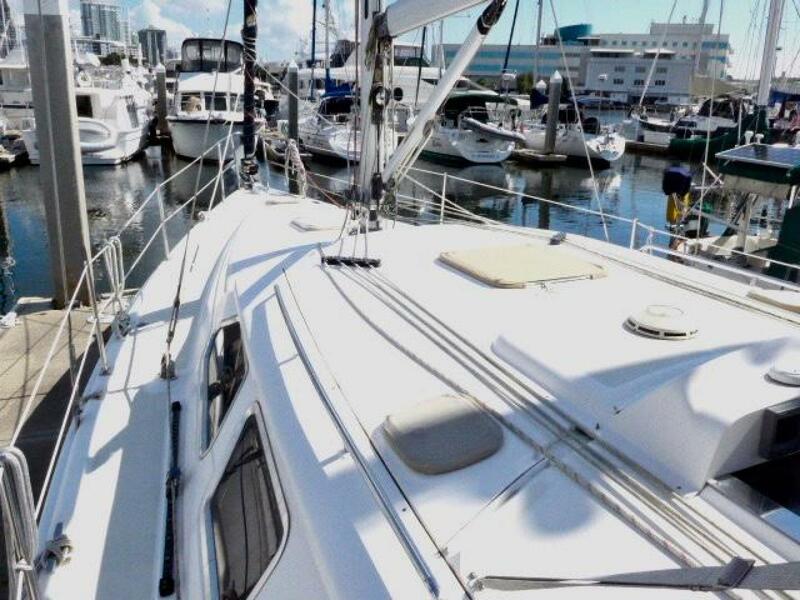 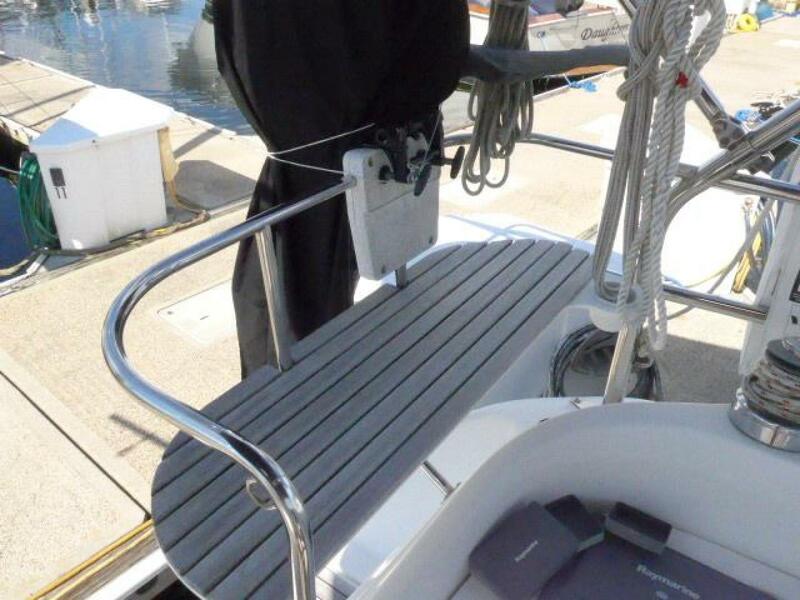 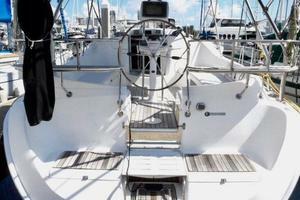 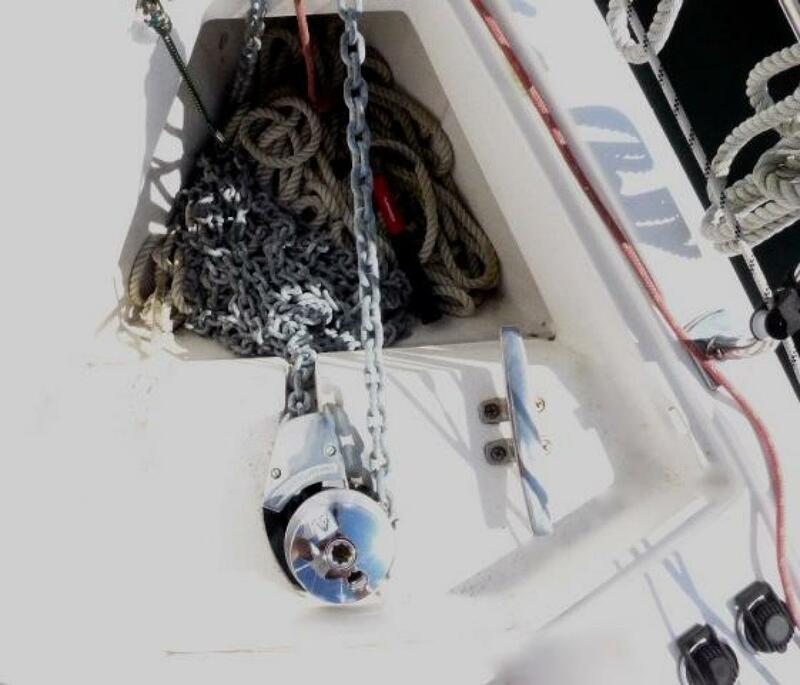 Strategic rigging placement keeps the deck clean while the standard cockpit arch positions the traveler up and out of the way while also providing bimini, stereo speaker and overhead lighting connections. The Hunter 41 Deck Salon features superb interior design, featuring an elegant salon, high-gloss table and custom window treatments, plus zoned overhead lighting. 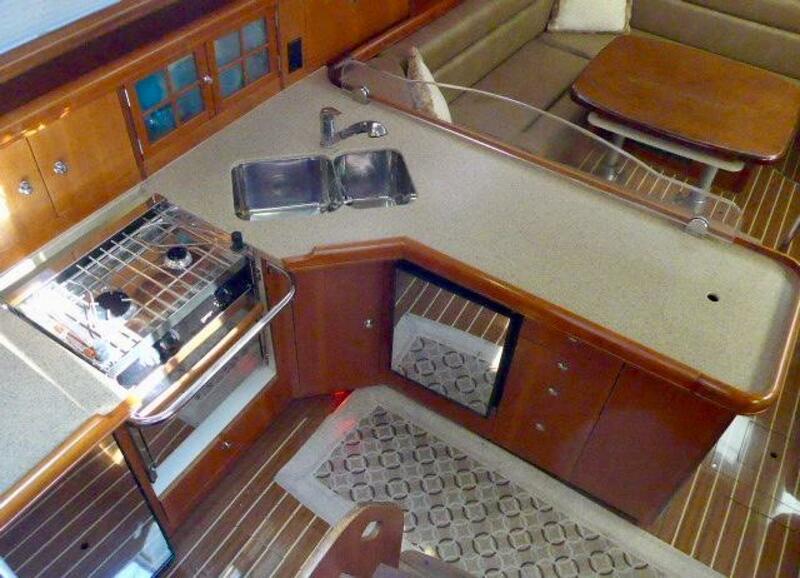 The galley features a stainless steel refrigerator/ freezer cleverly housed beneath the Corian countertop, along with a pantry and custom backsplash. The aft master suite with queen berth offers drawer storage, a vanity and entry to the head. 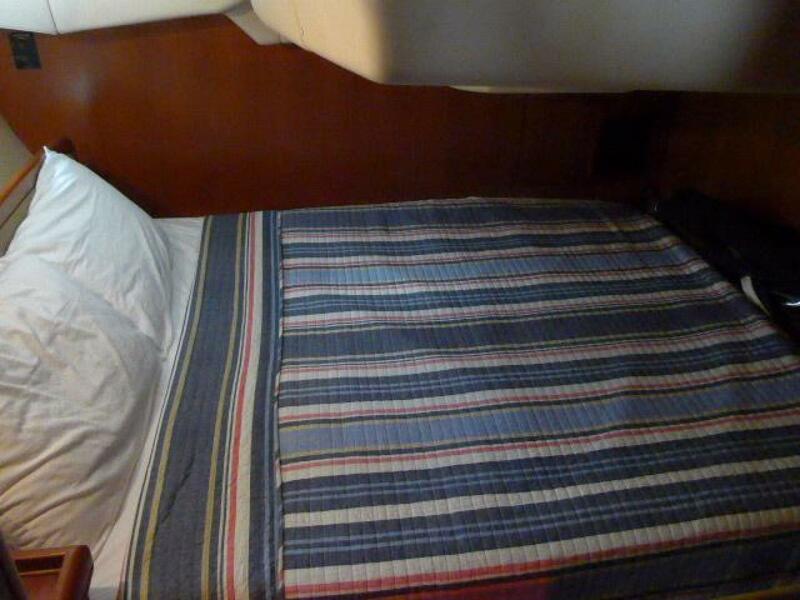 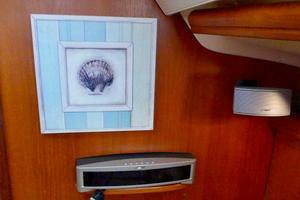 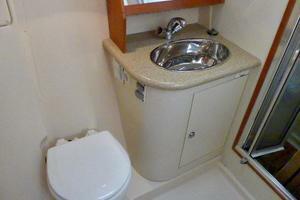 The forward stateroom has a double berth, vanity, storage and private head with shower. 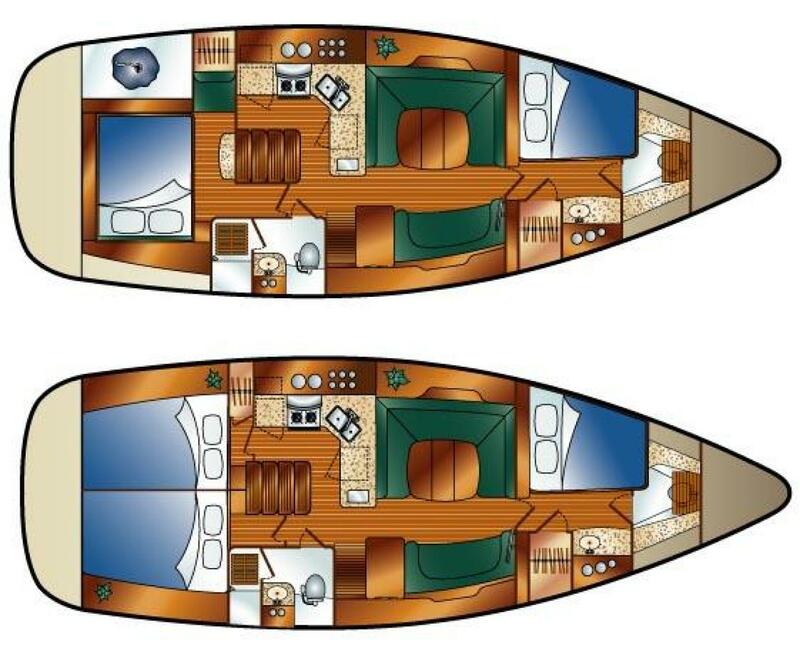 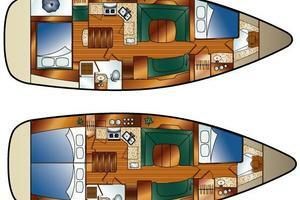 'Knot II Fast' features two staterooms and two heads. 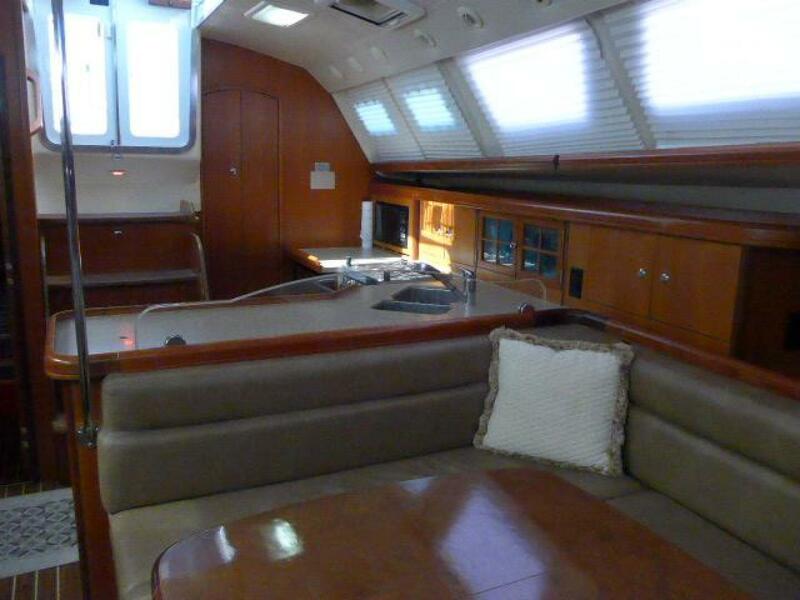 Entering the main salon the Galley is to port. 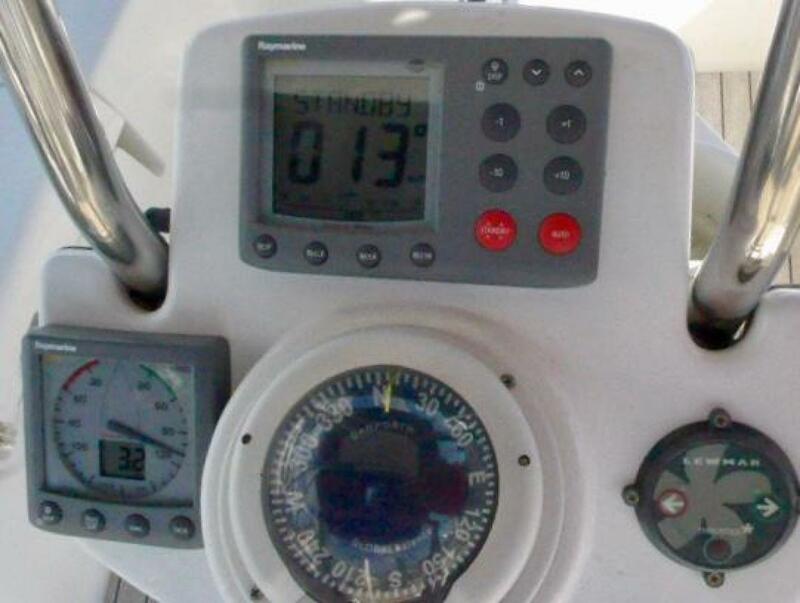 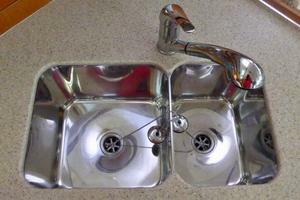 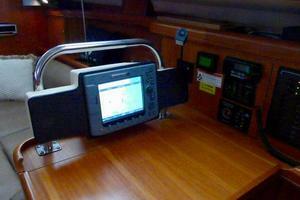 Opposite on the starboard side is access to the Day Head and the Forward Facing Navigation Station. 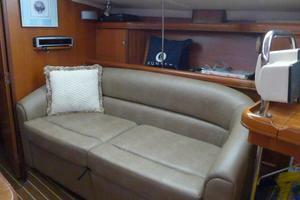 The Salon is nicely appointed with espresso faux leather upholstery. 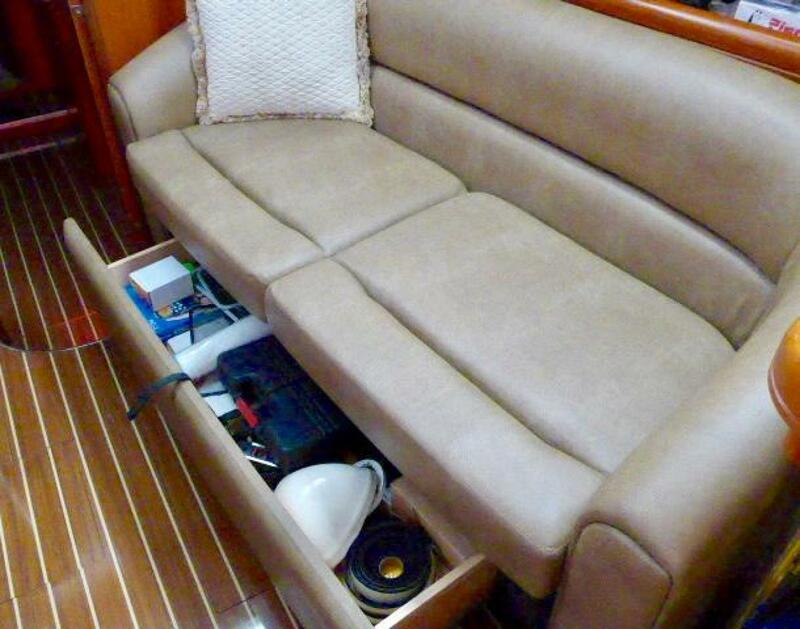 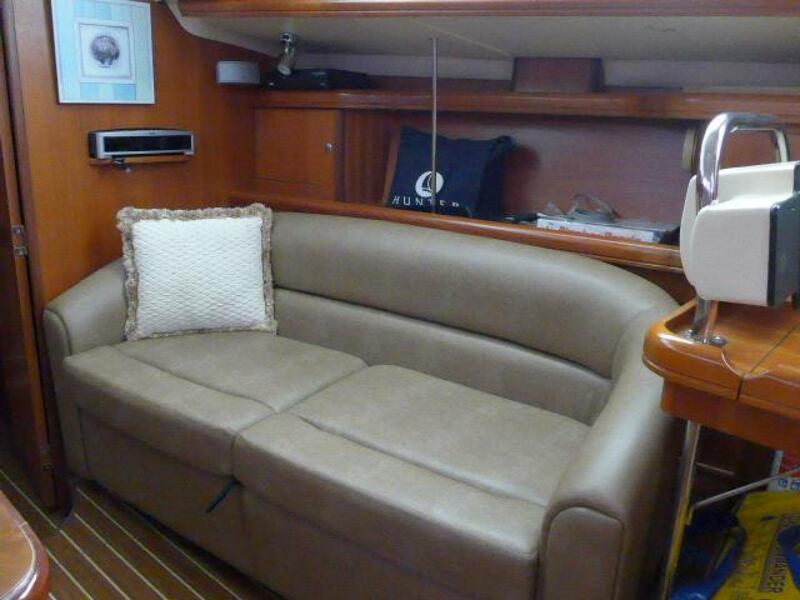 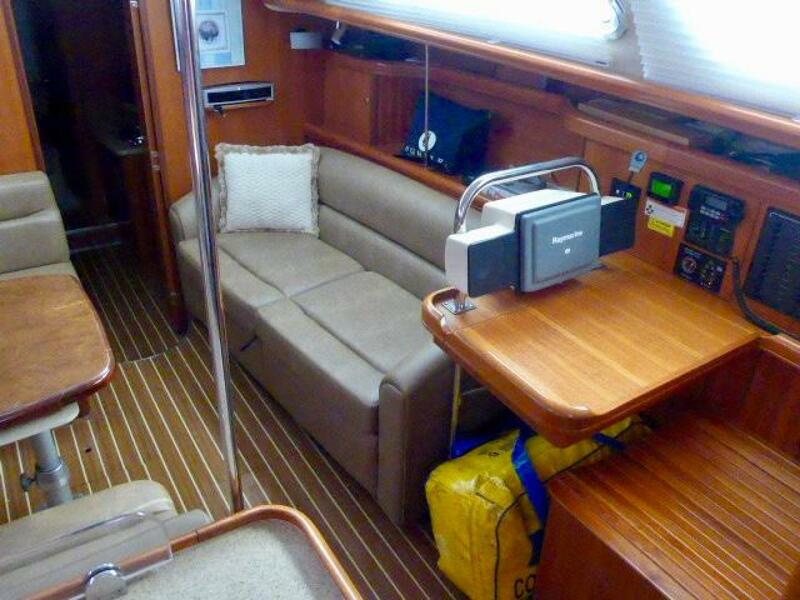 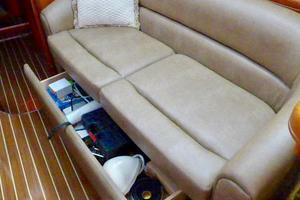 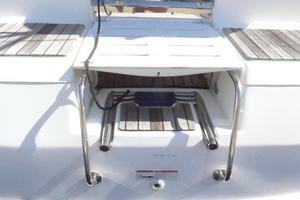 There is a Settee to starboard with large storage drawer below. 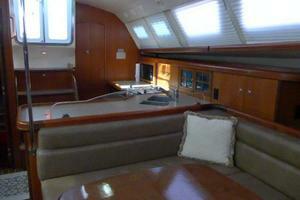 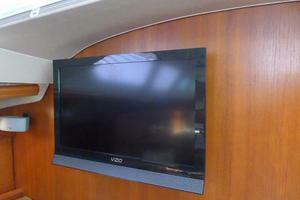 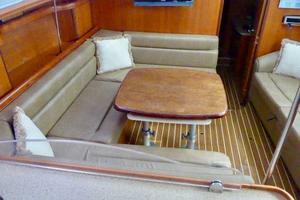 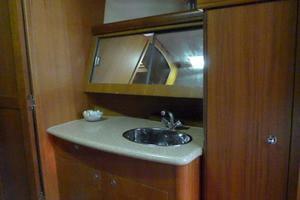 The large Dinette to port can be converted to a berth. 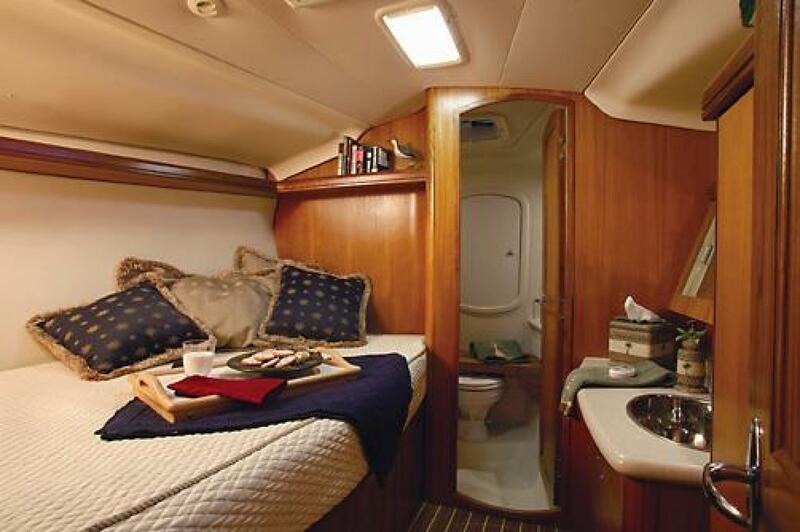 AFT STATEROOM: Athwartship Queen Bed, Storage Lockers, Hanging Cedar Lined Locker . 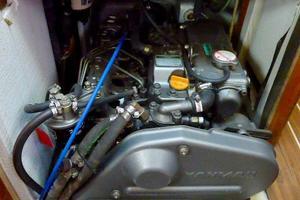 Private access to the Head. 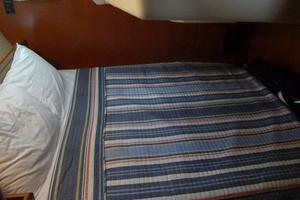 FORWARD STATEROOM: Pullman Berth to Port. 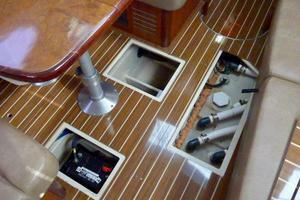 Storage drawers, Hanging Cedar Lined Locker, Head forward. 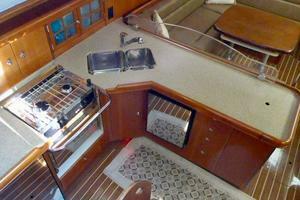 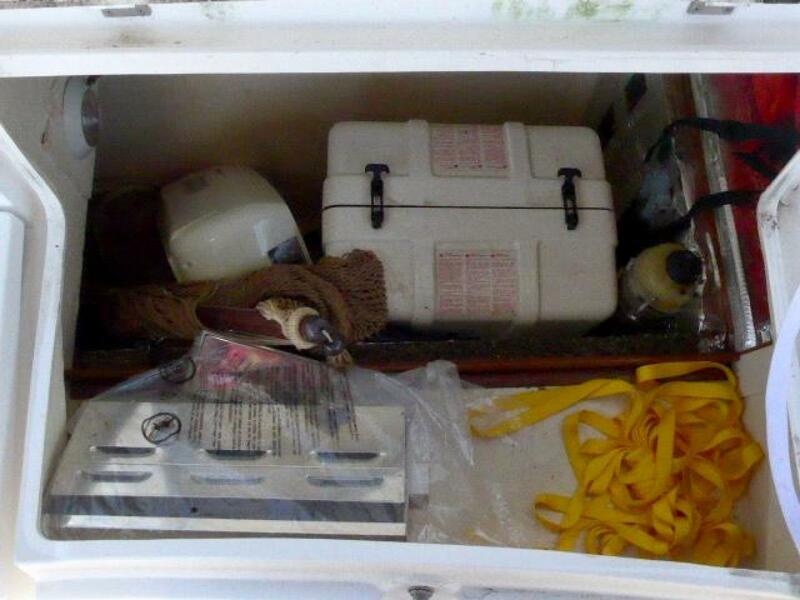 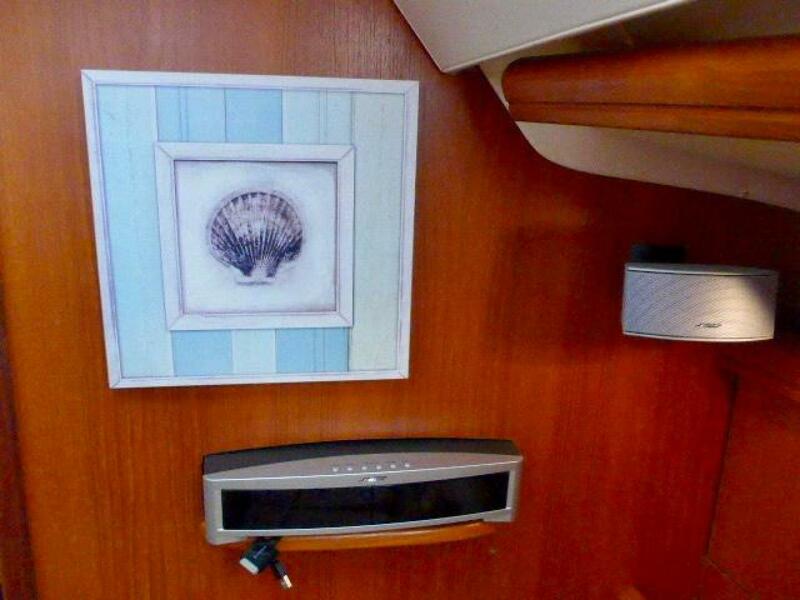 The Galley is to port at the base of the companionway. 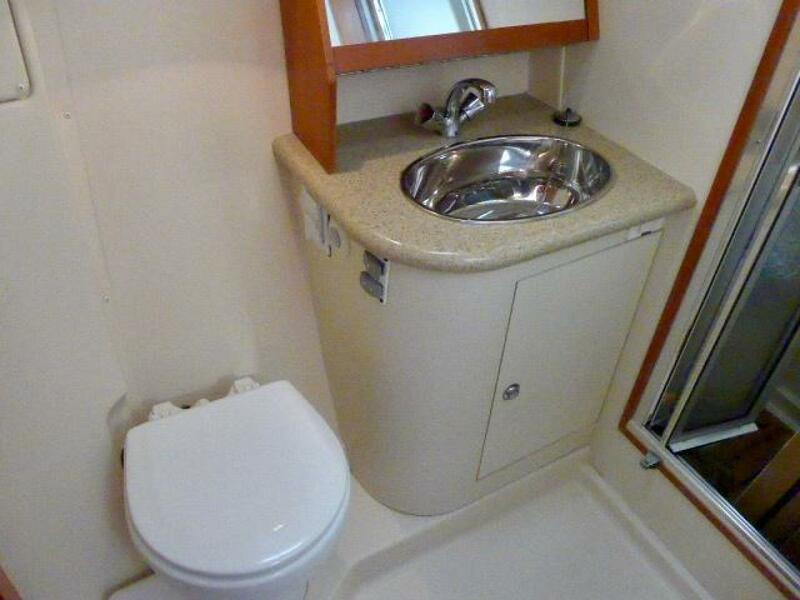 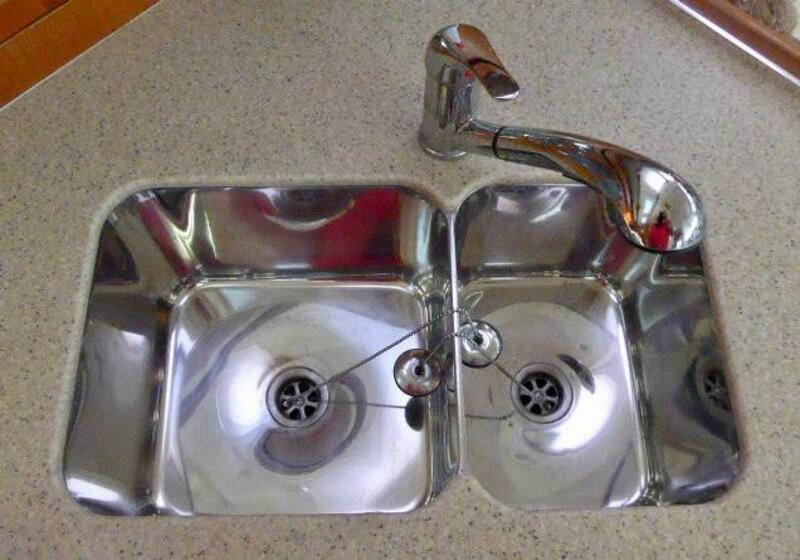 Counter space is excellent. 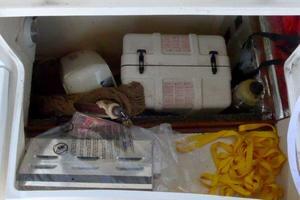 Storage cabinets are plentiful. 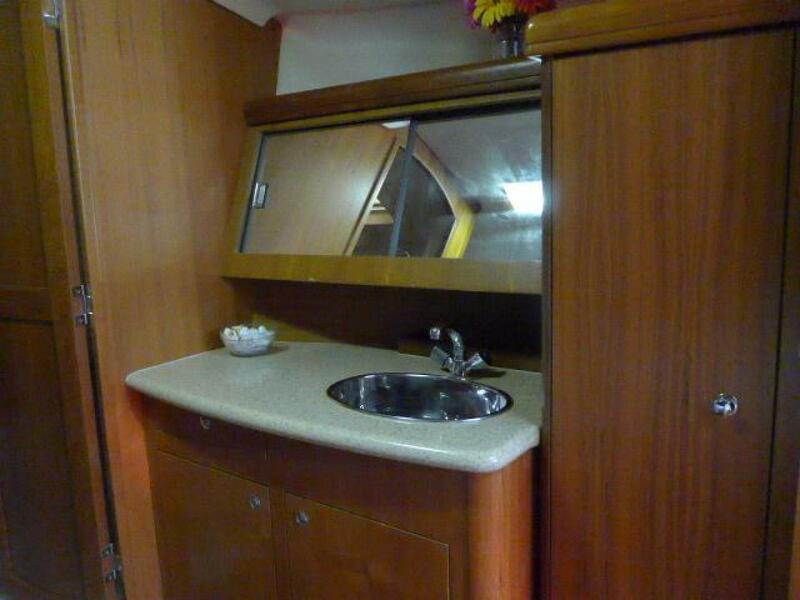 There is also a good sized pantry with shelving. 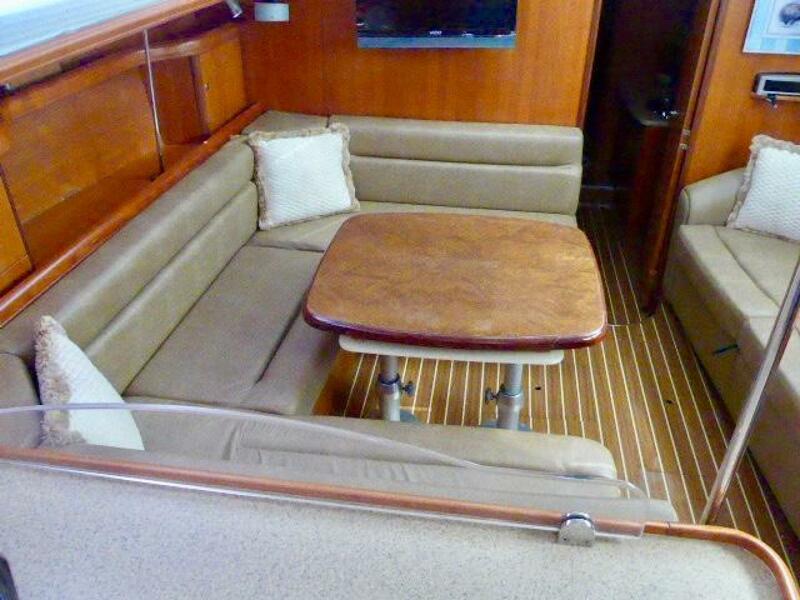 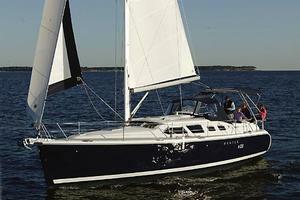 A great sailing yacht with a walk out transom, plenty of seating.